Organic Burst. | Monday's Child. Last month I decided to buy a pot of Organic Burst Wheatgrass powder. Pleasantly surprised by its fresh ‘green tea like’ taste I have been putting it in a glass of water every morning since! Though the Spirulina is extremely potent, I have found mixing it with Apple juice compliments and masks the slightly fishy flavour. 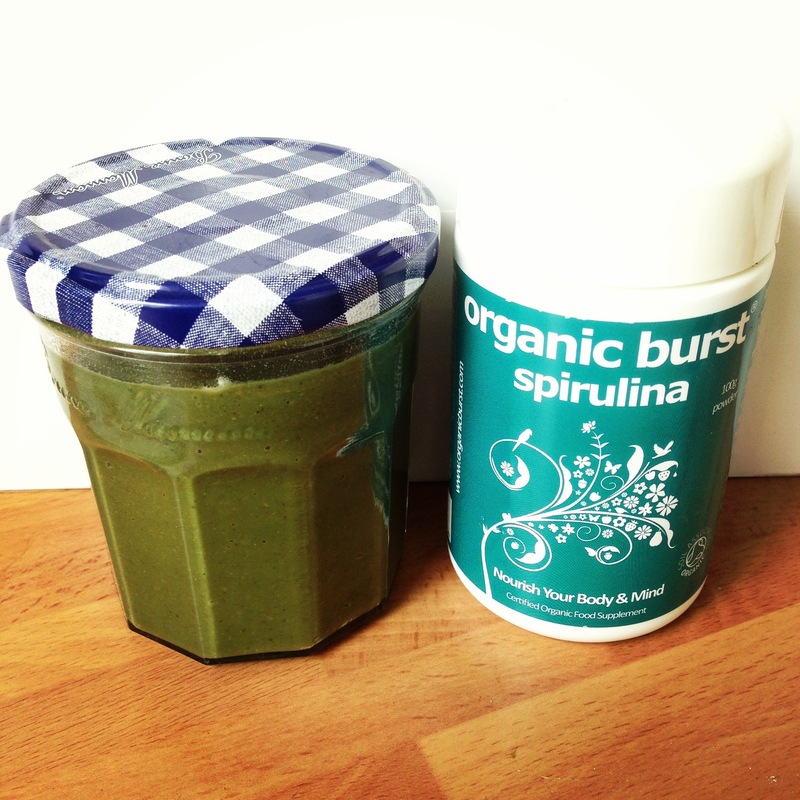 If I have a busy day ahead or just feel like having Wheatgrass & Water with my breakfast , I use my Spirulia in a smoothie. Banana, Oats, Goji Berries, Chia Seeds, Maca Powder, Lucuma Powder, Spirulina & Unsweetened Almond Milk. Other great flavours to help make the Spirulina more palatable include Pineapple & Mango. 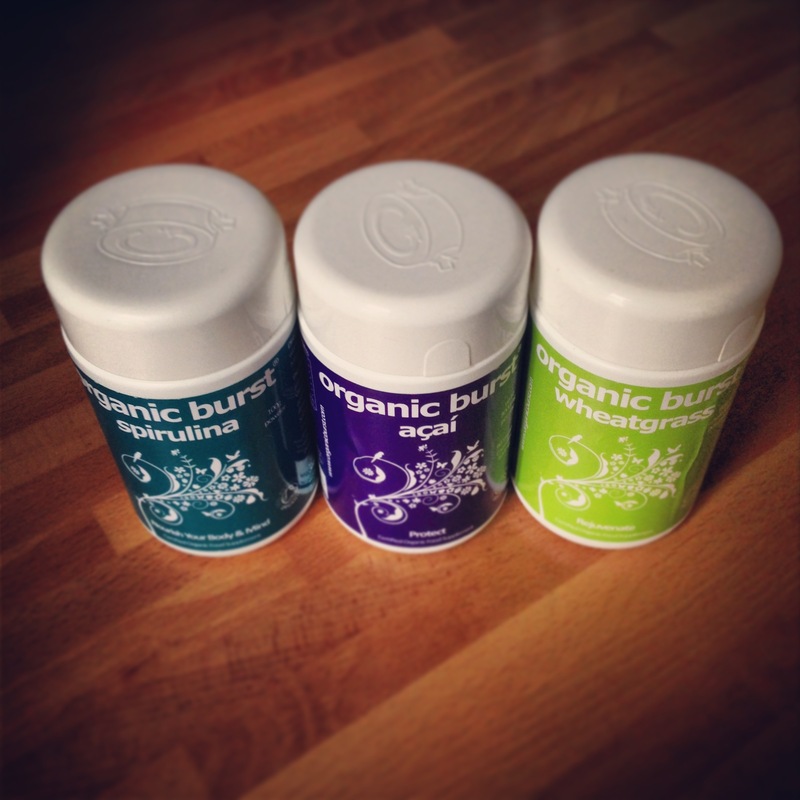 I am really pleased with all three of these products (…I have stocked up on another Wheatgrass pot already!) , as a company they always respond to any queries regarding their products and their delivery was very fast.